Tianjin Henghua pipeline technology co., LTD is located in Tianjin a city of the most economic vitality in northern China, Henghua is a high-end mechanical series product manufacturing company which concerntrates on design, research, manufacturing and marketing services with independent research and development center, use advanced manufacturing technology, strict implementation of relevant international standards, advanced engineering design methods, according to perfect manufacturing equipment, testing and verification facilities, the concept of lean production ensures the quality and performance of each product and provides safety guarantee to our customers all around the world. Our company has excellent large and medium-sized machining equipments and inspection and testing equipments imported from abroad. Our innovative products with new design, advanced structure, excellent craftsmanship, well-made, well-tested and have been certified by the ISO9001 international quality system. In the strict quality assurance system and ordered under the control of enterprise management system, Henghua have reached a higher level of design, development, manufacturing and testing. With strong production capacity, Henghua provides customers all around the world with products they needed in the shortest time, timely and efficient after-sales service to maximize customer satisfaction. 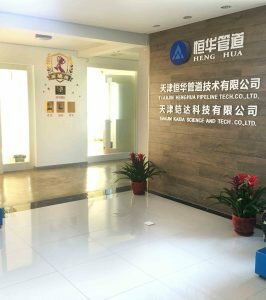 Henghua has been doing a lot of national, provincial, and city-level construction in the country, and has been well received by the quality and technology of the country’s quality and its users. Eight years ago, it started to develop the foreign market, saving export experience, establish a “client file” management system, and make sure that the goods and pictures and drawings are strictly consistent, check and reply customer service email timely, strengthen the after-sale service and feedback. Our products are sold to more than 30 countries in Europe, UK, USA, Australia, Philippines, Thailand, Korea, Japan, Iran, Bangladesh, Brazil and Colombia and etc. Henghua will take part in the future creation with the enterprise spirit of first-class science and technology innovation, first-class service and first-class quality, shape our enterprise with the quality of products and customer satisfaction, and surpass ourselves with unremitting pursuit and sustainable development. “Henghua dream” to “Chinese dream” is more fascinating!